LARRY HAGMAN, whose predatory oil baron JR Ewing on television’s long-running nighttime soap opera “Dallas” became a symbol for 1980s greed and coaxed forth a Texas-sized gusher of TV ratings, has died. He was 81. Linda Gray, his on-screen wife in the original series and the sequel, was with Hagman when he died in a Dallas hospital, said her publicist, Jeffrey Lane. “He brought joy to everyone he knew. He was creative, generous, funny, loving and talented, and I will miss him enormously. He was an original and lived life to the fullest,” Gray said in a statement. Hagman was diagnosed in 1992 with cirrhosis of the liver and acknowledged that he had drank heavily for years. In 1995, a malignant tumor was discovered on his liver and he underwent a transplant. Years before “Dallas,” Hagman had gained TV fame as a nice guy with the fluffy 1965-70 NBC comedy “I Dream of Jeannie,” in which he played Capt. Tony Nelson, an astronaut whose life is disrupted when he finds a comely genie, portrayed by Barbara Eden, and takes her home to live with him. But it was Hagman’s masterful portrayal of the charmingly loathsome JR that brought him his greatest stardom. The CBS serial drama about the Ewing clan and those in their orbit aired from April 1978 to May 1991. The “Who shot JR?” story twist, in which Hagman’s character was nearly murdered in a cliffhanger episode, fueled international speculation and millions of dollars in betting-parlour wagers. It also helped give the series a ratings record for the time. When the answer was revealed in a November 1980 episode, an average 41 million viewers tuned in to make “Dallas” the second most-watched entertainment show of all time, trailing only the “MASH” finale in 1983 with 50 million viewers. It was JR’s sister-in-law, Kristin (Mary Crosby) who plugged him — he had made her pregnant, then threatened to frame her as a prostitute unless she left town — but others had equal motivation. Hagman played Ewing as a bottomless well of corruption with a charming grin: a business cheat and a faithless husband who tried to get his alcoholic wife, Sue Ellen (Linda Gray), institutionalised. Ten episodes of the new edition of “Dallas” aired this past summer and proved a hit for TNT. Filming had been completed for five of the episodes for the second season and work on the sixth episode was in progress, the network said. There was no immediate comment from Warner or TNT on how the series would deal with Hagman’s loss. The Fort Worth, Texas, native was the son of singer-actress Mary Martin, who starred in such classics as “South Pacific” and “Peter Pan.” Martin was still in her teens when he was born in 1931 during her marriage to attorney Ben Hagman. As a youngster, Hagman gained a reputation for mischief-making as he was bumped from one private school to another. He made a stab at New York theater in the early 1950s, then served in the Air Force from 1952-56 in England. While there, he met and married young Swedish designer Maj Axelsson. The couple had two children, Preston and Heidi, and were longtime residents of the Malibu beach colony that is home to many celebrities. Hagman returned to acting and found work in the theater and in such TV series as “The U.S. Steel Hour,” ”The Defenders” and “Sea Hunt.” His first continuing role was as lawyer Ed Gibson on the daytime serial “The Edge of Night” (1961-63). “I didn’t put anything in that I thought was going to hurt someone or compromise them in any way,” he told The Associated Press at the time. After his transplant, he became an advocate for organ donation and volunteered at a hospital to help frightened patients. He also was an anti-smoking activist who took part in “Great American Smoke-Out” campaigns. Email “'Dallas' star Larry Hagman dies in Texas ”. 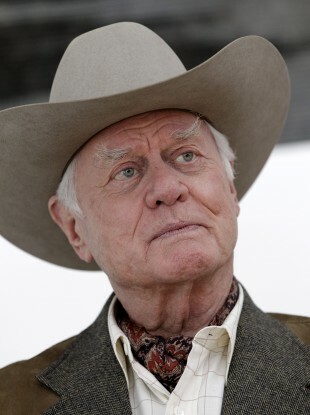 Feedback on “'Dallas' star Larry Hagman dies in Texas ”.